According to the American Academy of Sleep Dentistry, obstructive sleep apnea (OSA) interferes with the daily lives of over 25 million Americans every year, resulting in breathing problems that make it hard for you or your loved ones to fall asleep. If drugstore snoring aids and at-home snoring remedies are proving ineffective at curing your insomnia from troubled breathing, it might be time to find real relief with Dr. Ana Brightleaf’s proven sleep apnea therapy. Located in Santa Monica, Dr. Ana Brightleaf can help you find a quality night’s sleep so you can approach every day refreshed with newfound energy. Call us at 310-626-4106 to take the first step towards peaceful sleep at Brightleaf Dental. If you think you or your loved one may have symptoms of sleep apnea, discovering how to go to sleep every night can feel increasingly discouraging. Snoring and labored breathing not only keep your partner from finding comfortable sleep at night, but are often symptoms of a blocked or obstructed upper airway. Under this condition, your diaphragm and chest muscles will work harder to pull air into the lungs, causing you to gasp, snort, or even jerk your body awake. When the oxygen flow to your organs is reduced, your brain may sense danger and signal your body to wake up repeatedly throughout the night, disrupting your sleep cycle and resulting in a restless sleep. +Enlarged tongue or tonsils, or a small jaw. If one or more of these symptoms are interfering with your daily life, please call Brightleaf Dental at 310-734-2511 to schedule your appointment with Dr. Brightleaf. 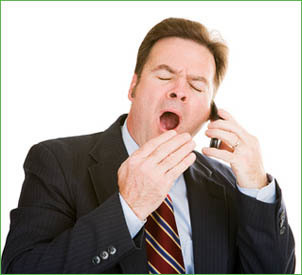 After a proper diagnosis, Dr. Brightleaf will discuss with you your available sleep apnea treatments. Our mouthguards and custom made oral appliances are highly recommended treatment tools that can hold your jaw in place while you sleep and transform your airway to allow for the healthy flow of oxygen. When CPAP, or sleep apnea machines, can be effective but are often uncomfortable to sleep in, we may recommend CPAP alternatives such as the Lingualess SomnoDent® appliance which are high quality and very comfortable. Since Dr. Brightleaf is a Gneuromuscular dentist she is able through muscle relaxation with the Tens machine find a relaxed bite for the appliance with TMJ (temporal mandibular joint) in a physiologic position. If you can’t sleep at night because you’re waking up frequently or your partner’s snoring is keeping you up, contact our office at 310-734-2511 to schedule an appointment with Dr. Brightleaf today.